I planted too much zucchini. Right now it's only seedlings, but it's still there. I can see the future and it's going to be entirely too much. But my kids, who LOVE zucchini are still think I should have planted more. After all, the package had 30 seeds and we plant all of the radish over a summer. No, I didn't plant zucchini, that's madness. But 6 of 7 seeds I planted are growing. 6 zucchini bushes. My raspberries? Are trying to take over the world. 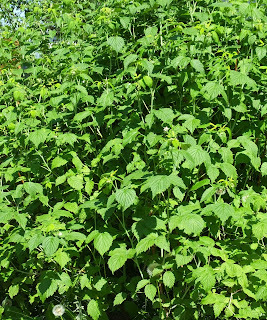 I've mentioned them before, my incredibly sweet raspberries accidental hybrid raspberries? Once upon a time I planted 3 canes. 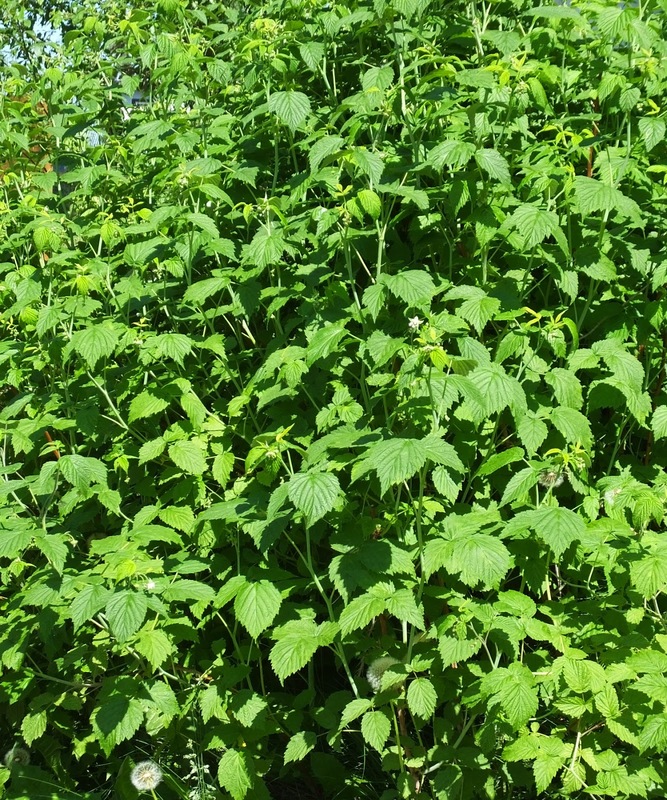 Yeah, that's a wall of raspberry plants. With lots of flowers. Then of course my rhubarb, which is very large, very happy and needs to be split this year. Same great format, this book is the number 1 canning reference in my kitchen. 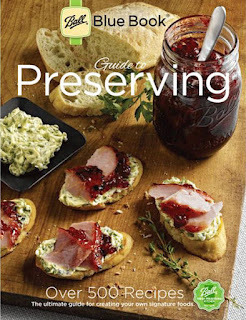 Yes, I have a lot of canning books and love them all- but this is the one everyone needs. It teaches you step by step canning basics, and you check out the videos on the Ball Canning website for more information. Then it has recipes. Several kinds of pickles, a wonderful looking jardiniere, relish, the above mentioned doughnuts, dehydrated zucchini chips. I'm set! What doesn't wind up on the grill, in soup, in baked goods or passed off to friends and family will get used in these recipes. I know my son will eat the heck out of hot zucchini pickles in the fall and winter. Raspberries- preserves, jams, jellies, conserves, fruit leather and juice. All set there too. I know some people say they can eat all the raspberries they grow- but last year I got quarts and quarts of berries and this year is looking even bigger. At the end of the book is a trouble shooting section, and a section that explains how to tell if your canned goods went off and how to dispose of them. When people ask me about canning, this is the book I recommend to them to get started. It might be the only book you need. It's no fluff. There are pictures, but most of it is recipes that are clearly written and easy to read and follow. Follow Ball Canning on Facebook and Twitter for more information, recipes and occasionally nifty jar crafts.